Finding something spectacular from the thrift store is honestly, very rare. There are even days when I feel incredibly optimistic where I explore as many as 15 thrifts and come up way short with one measly book. It's kinda frustrating. But the good news is, I often see something new which I haven't seen the day before from the same store. So I keep my chin up because tomorrow is a brand new day filled with old goodies. My best piece of advice is be patient and keep thrifting. 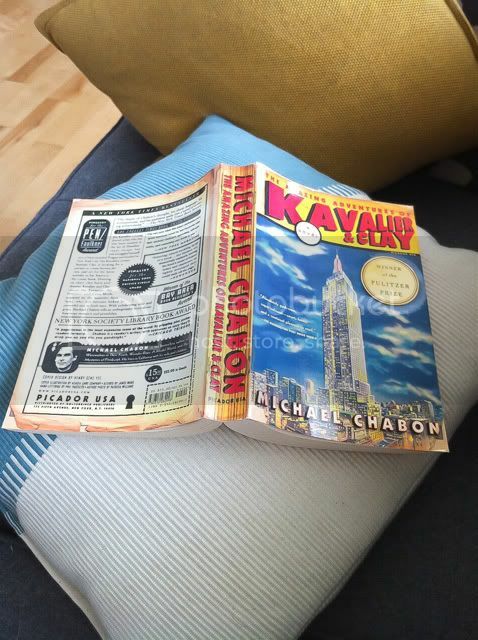 A couple weeks ago, I found The Amazing Adventures of Kavalier & Clay, by Michael Chabon. It's on my wish list so I'm satisfied. I think it'll be a perfect way to end the summer with this epic novel. Alright, let's have a wonderful, thrifty weekend!